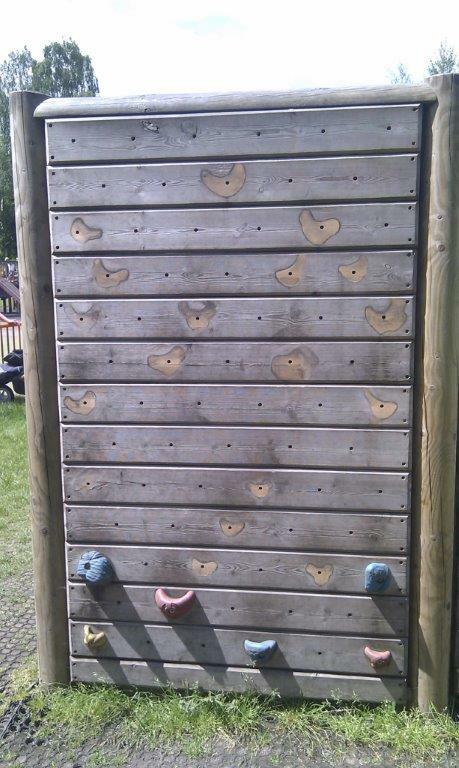 Over the past 10 days 67 handholds on the rear of the Climbing Wall in the playground have been stolen as well as other damage in the park … the sign for the kiosk of the Café bent out, new graffiti, and fences round the Sensory Garden and the trellis in the arch entrance smashed. The cost for the hand holds will be a couple of hundred pounds, the Sensory Garden five hundred pounds and this is money that we have to raise – I have no need to tell you getting money is extremely difficult these days, there is no money available from the Council. The Bowling Club is very generously donating £250 towards the Sensory Garden repairs. Would all members, when in the park, please keep eyes open for suspicious people or damage being caused and phone it in to the police on 101. Alternatively let us know on this account. Unless we want our park to deteriorate again to the way it was 7 years ago we must all be vigilant! 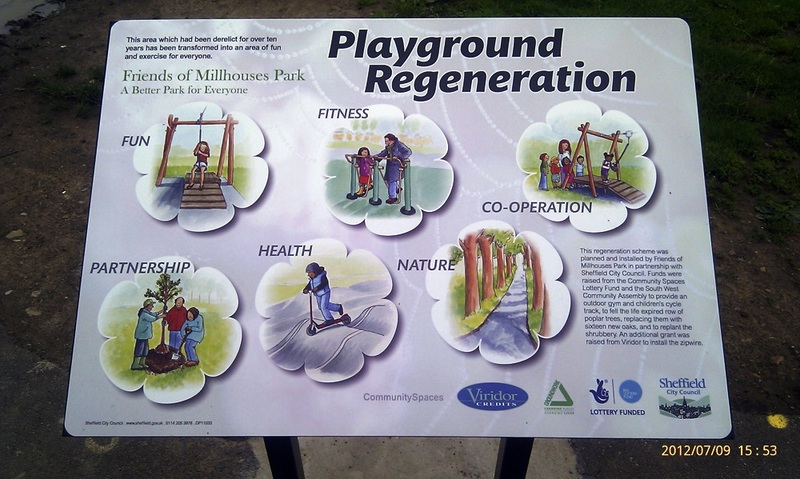 Two cycle stands are proposed at the entrance to the Children’s Play Area! These stands have been requested and hopefully will be installed before the end of March – so keep your eyes open! After replacing the cable, the Zip Wire is now open for “zipping” again! 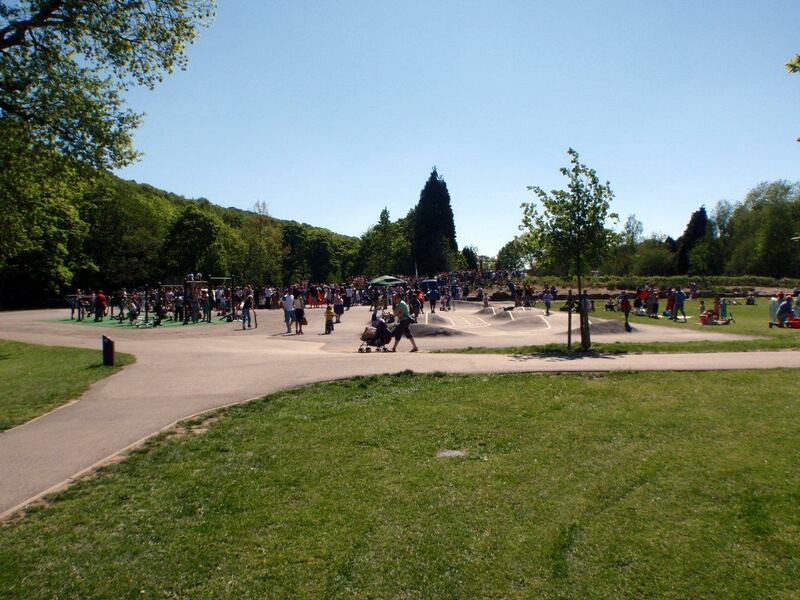 From a derelict site of many years the awarding of a Community Spaces grant has transformed the area into the busiest place in the park on probably the busiest day I have ever known it. The Gym, the Cycle Park and Oaks plus a sustainability grant from Community Spaces for Milly Jam has seen a fantastic day, adopted by the SW Community Assembly and supported by our PCSO. Totally transformed with a cross section of ages and backgrounds … One of the best projects we have achieved to date. About 1000 people in one area at one time is quite an achievement within 6 months of the project finishing. Congratulations to all those involved Kate, Geoff & Cath, Toby and Carolyn, Tammy & Matthew, Nicola ……. Brilliant, just brilliant and thanks on behalf of everyone in the community who has benefitted from your labour. Please pass on my admiration to the guy on the microphone, how he kept going so long, I will never know. Many of you were involved in the willow den building session last February in Millhouses Park, braving the snow and sleet! Hopefully this time the weather will be kinder, but we will be there rain or shine if you fancy a morning pruning and reweaving the structure so that it will be good for another year. There will be tree planting after lunch too. Look forward to seeing you on 16th Feb, see flyer for details HERE.